In the mid to late 1960s, American automobile manufacturers were still in the midst of the pony car wars. This 1967 Plymouth Barracuda Formula S was Chrysler’s contender, duking it out with Ford’s Mustang and Chevy’s Camaro in the sporty compact car genre named after Ford’s entry (even though the Barracuda hit the market before the Mustang in 1964). 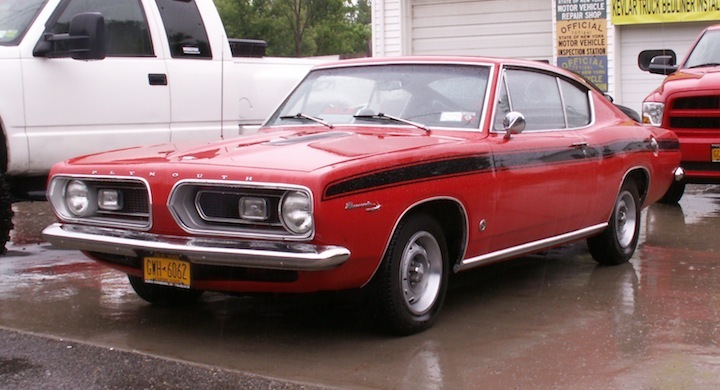 The Formula S package was an option for all three Barracudas (coupe, convertible, and the pictured fastback). This one was found last weekend in the hamlet of Shawnee. — Jim Corbran, RRofWNY The post RealRides of WNY appeared first on Buffalo Cars.